One of the most common things we hear about content marketing is that it is just too complicated. Trying to come up with ideas for content, executing those ideas, marketing the content, finding readers, guest blogging, including keywords—it can all be a lot, especially for a small business that does not necessarily have the resources to devote a lot of time and effort just to content marketing, along with all of the other types of marketing that you have to do. Content marketing doesn’t have to be complicated and it doesn’t have to be stressful. If you are looking for a few ways to simplify your content marketing campaign, here are a few suggestions. Passing off the job to someone who really knows how to do it is one of the best ways to simplify your content marketing campaign. While you still might be asked to give input on topics or to approve the content that is written for your social media profiles, blog, and website, you will have far less of a hand and far less of a struggle when it comes to getting your content marketing done. There are lots of web development firms that also do content marketing on the side, usually as a part of their search engine optimization services. Of course, you will want to use someone who employs content marketing as a facet of their own overall marketing campaigns. You’ll want someone who is willing to diversify, too—not just provide you with blog content, but also with content for social media updates and even email marketing. Your content marketing campaign should be comprehensive, so look for someone willing to provide comprehensive services. 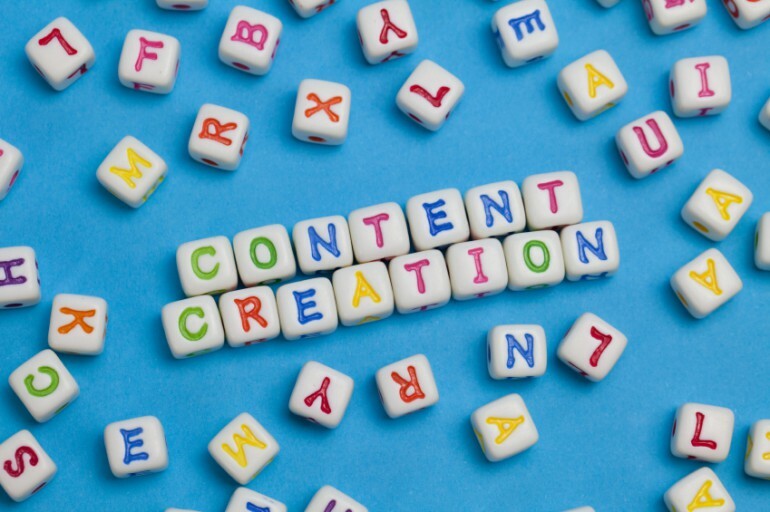 One way to do this is to outsource your content creation to a content marketing expert. Another way is to find a freelancer that you can rely on to consistently provide you with content. Both of these options, obviously, require money, which is why so many small and medium-sized businesses avoid outsourcing their content creation, even when actually creating content takes hours and hours of work. You have to look at how much time you spend creating content and managing the posting of that content and determine whether or not paying someone else to do it is more efficient and actually better for your bottom line. Even if you do not decide to outsource your content creation to someone else, there are ways that you can make writing or creating content faster. Paying attention to topics of conversation going on in your industry is a good start. You probably already have a Twitter account and a Facebook page. Both of these social media utilize hashtags in order to mark conversations and topics. Searching relevant hashtags can easily help you find topics that people are talking about and give you ideas for relevant and current content that you can create. Diversifying the types of content you create can also help you break through the writer’s block many people get when it comes to coming up with topics. If you write blog posts and social media updates and create videos and infographics and slideshows, etc., you have many more ways to cover the same content. An easy way to determine whether or not the content you are creating is landing with your audience is to listen to what they have to say. Start by watching their foot traffic. If it is increasing, it is probably because you have something to say that your audience wants to hear. If it is decreasing, it is often because you’ve started to create content about topics your audience doesn’t care about. As with anything, people vote with their feet—they show up for content they like and they stop showing up if you start posting content they do not like. Connecting with your audience also makes it easier to come up with topics that they want to hear about. They will ask questions in the comment sections of your videos and blog posts, they will “like” and repost information that is relevant to their needs and interests, and they will verbally tell you when they like something or when they hate it (people are usually very open with the anonymity of the internet). Listening to what your audience has to say is a good way to get rid of the uncertainty in content marketing, and therefore simplify it. If you are spending more time trying to get people to click on your content than you actually do creating it, it is probably because you’re not using the right keywords (or you’re not writing about topics that your intended audience cares about). Using the wrong keywords can drag you down and make it impossible for your content marketing to succeed. It can also make content marketing far more complicated than it has to be. Trying to stuff your content with keywords that are awkwardly phrased makes writing difficult. Setting yourself up with a number of arbitrary rules (like that you need five headings and each of those headings has to contain the keyword), makes content marketing almost impossible. The key to getting better keywords is first, finding keywords that are actually very relevant to your industry, but more specifically to your niche, and to using them properly. It is about creating content that someone actually wants to read and making it possible, through using the right keywords, for that person to find it.